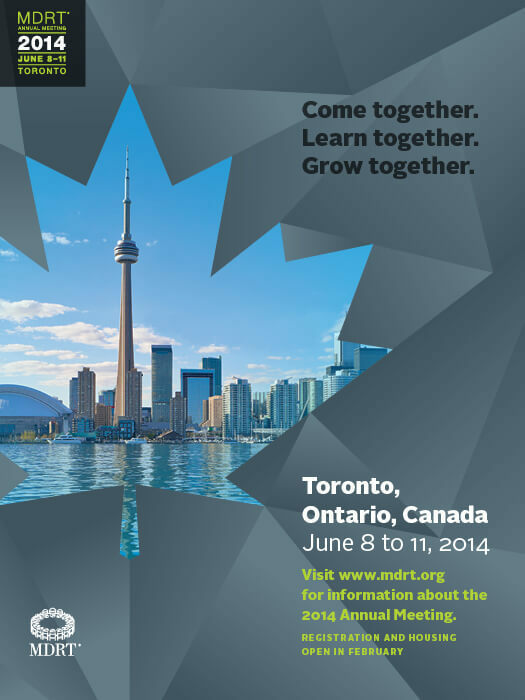 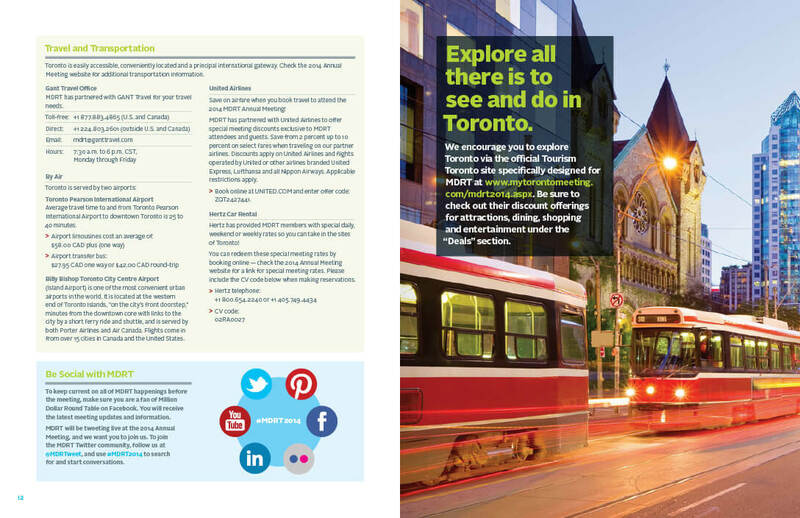 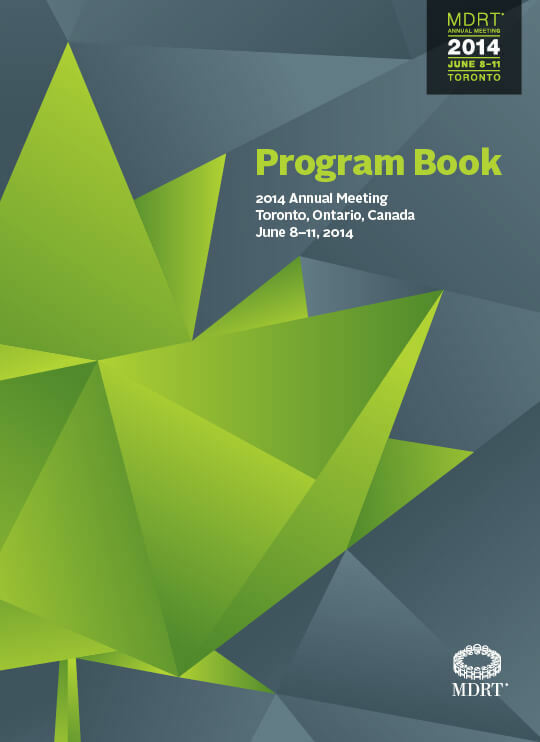 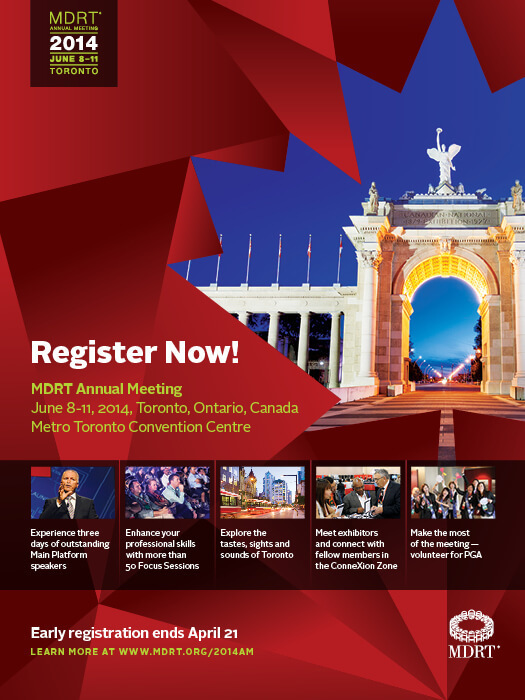 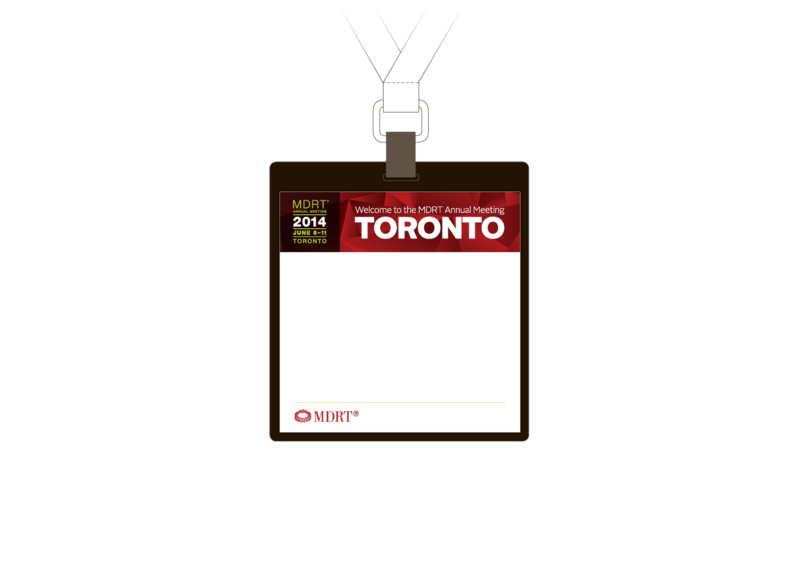 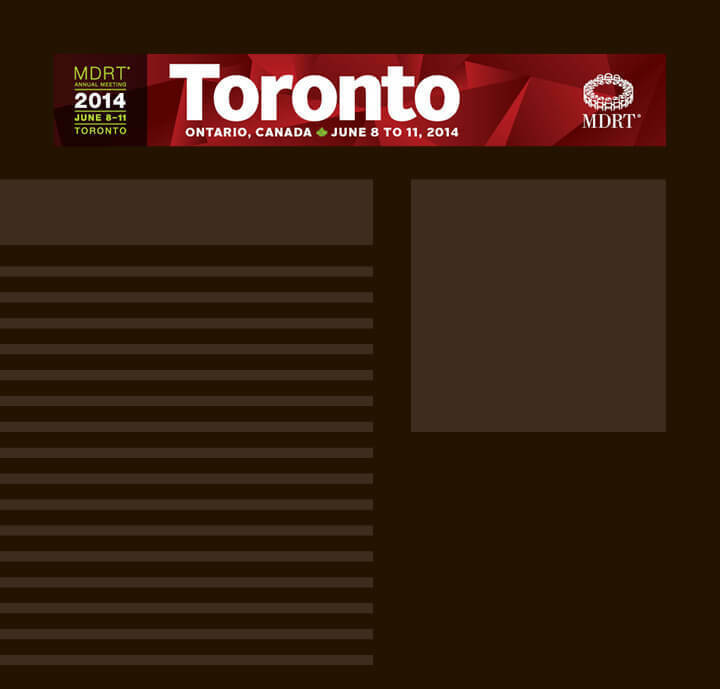 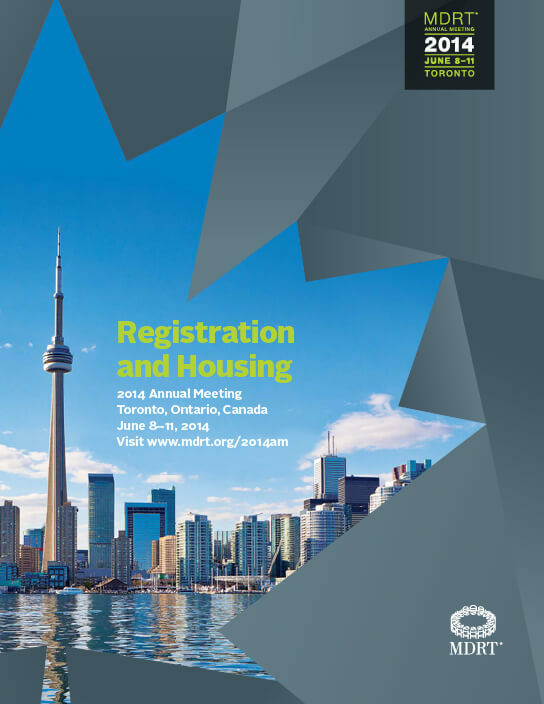 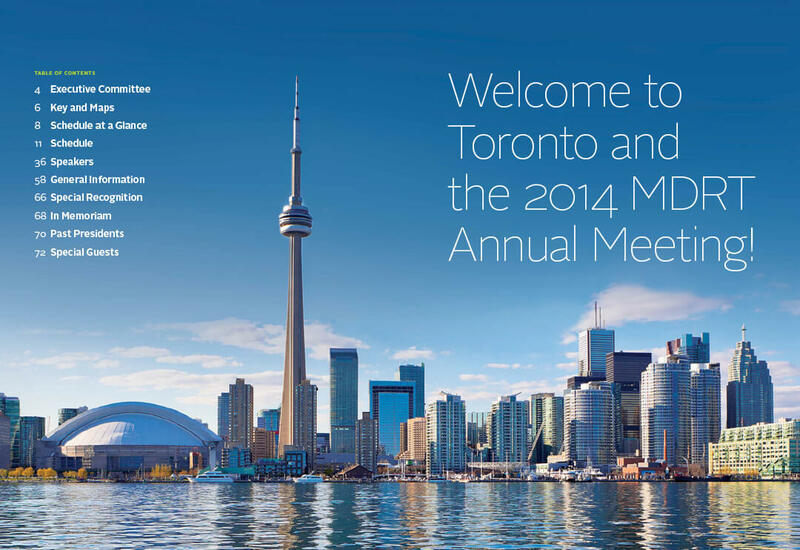 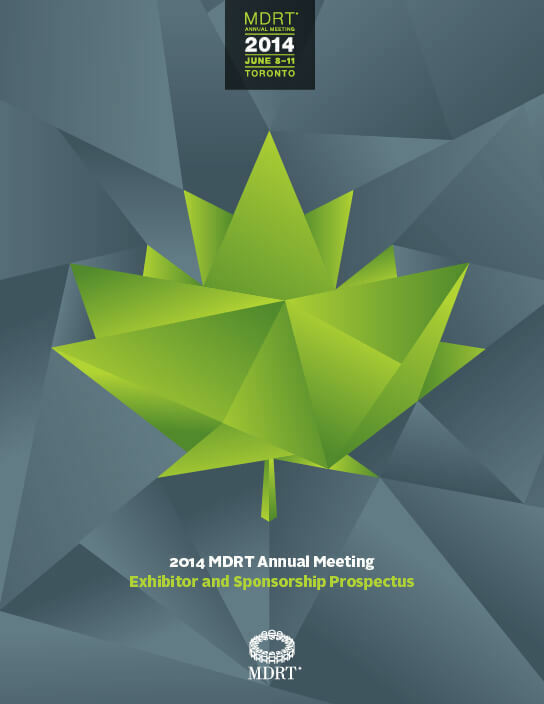 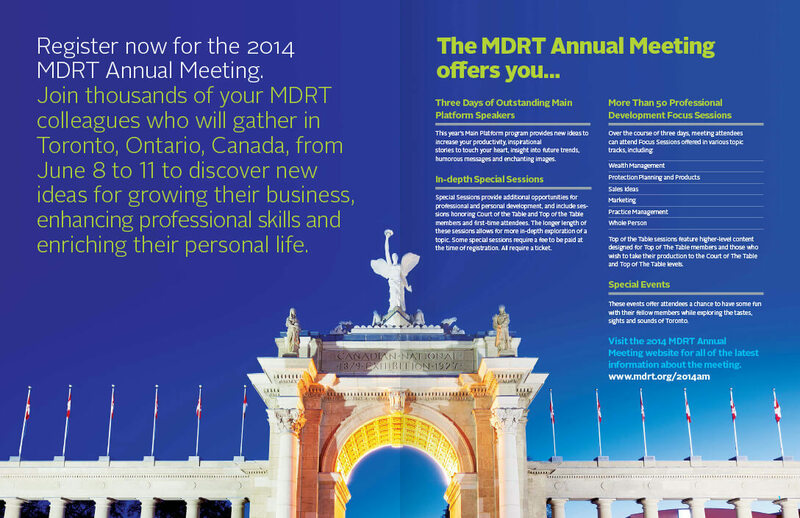 Toronto (Canada) became the temporary home to over 12,000 financial professionals when they descended upon the streets for MDRT’s annual meeting. 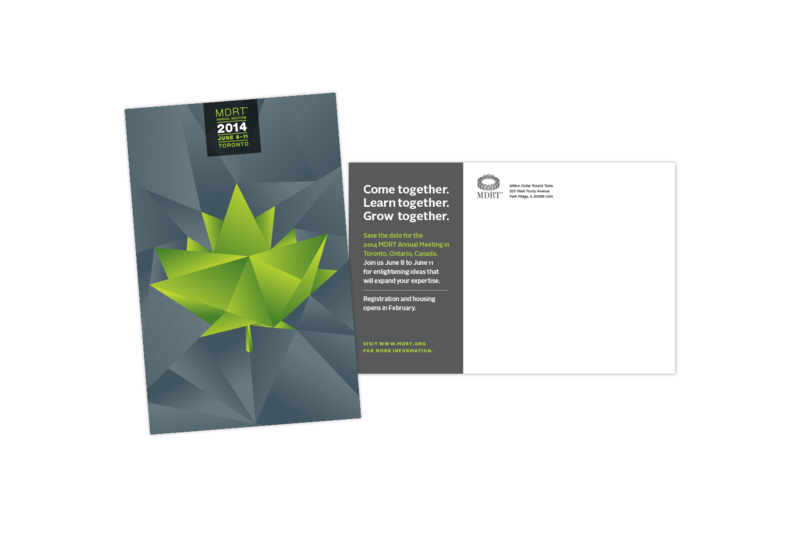 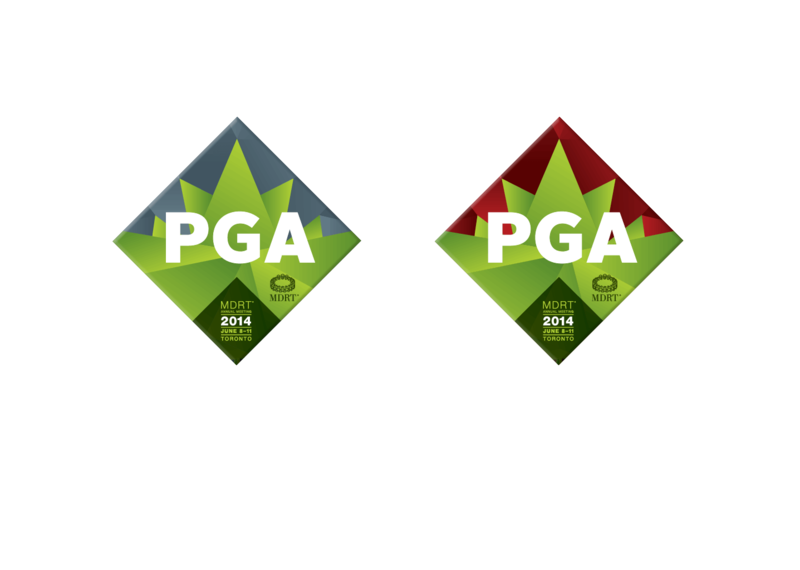 The international membership flew in from around the world and each of these individual paths were abstractly represented through overlapping lines that came together to create a mosaic maple leaf. 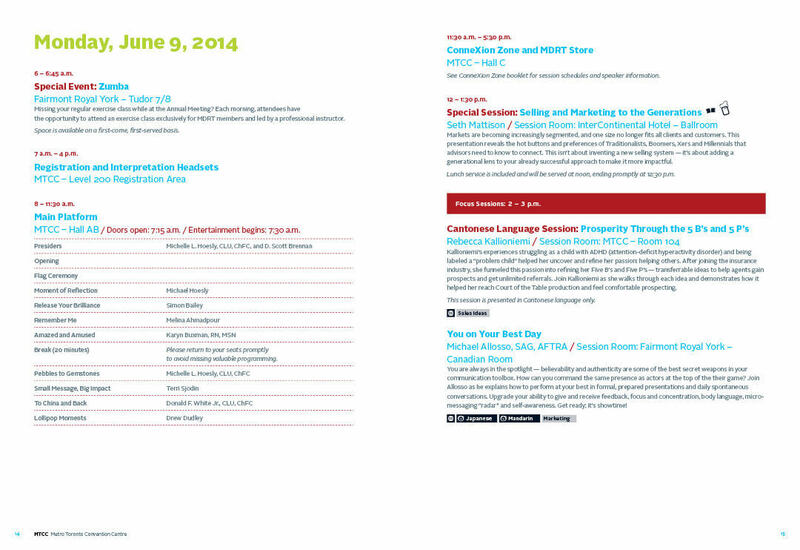 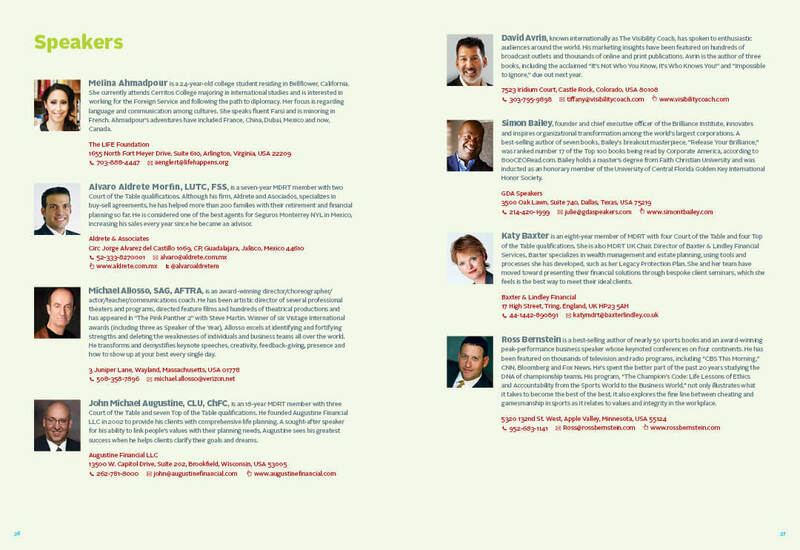 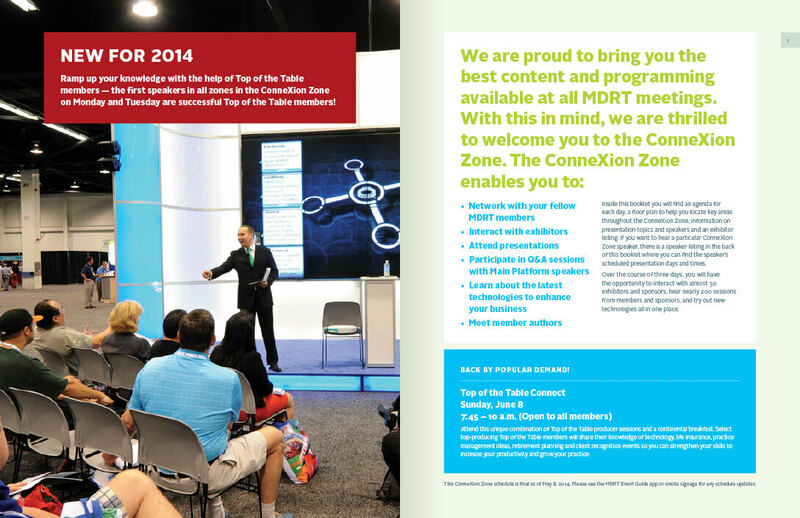 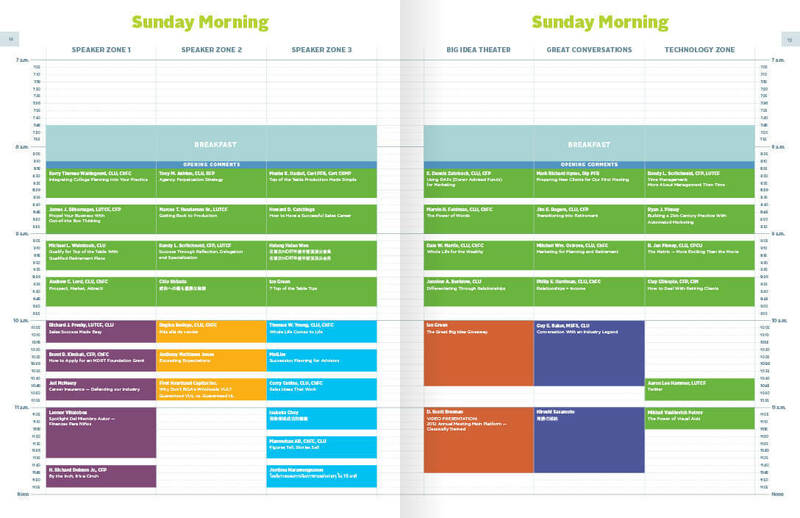 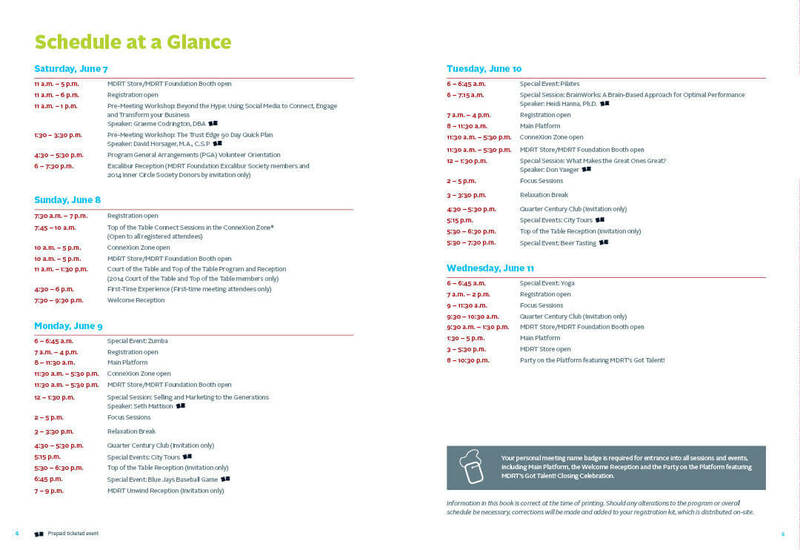 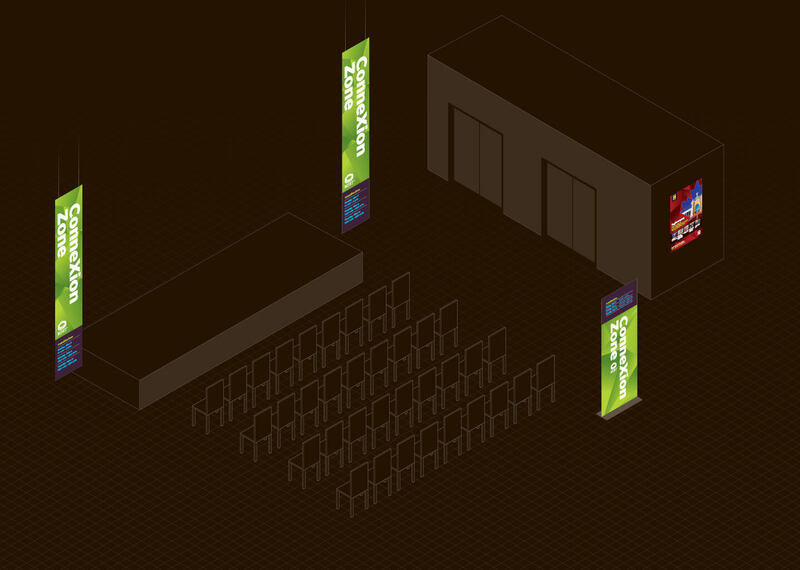 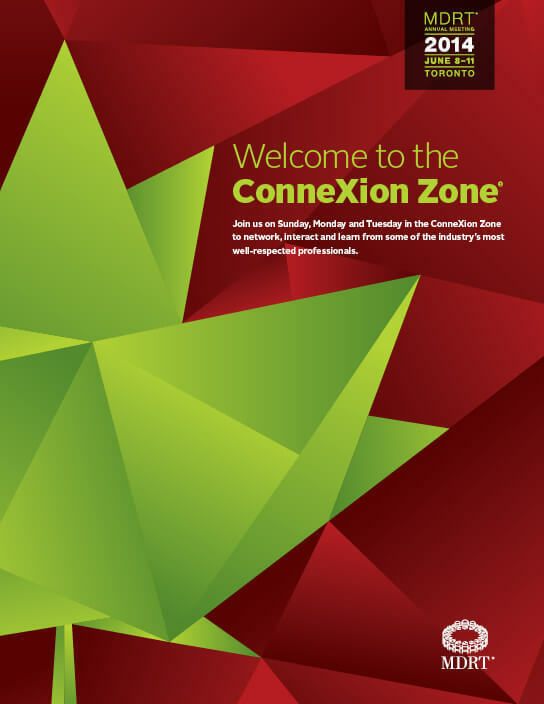 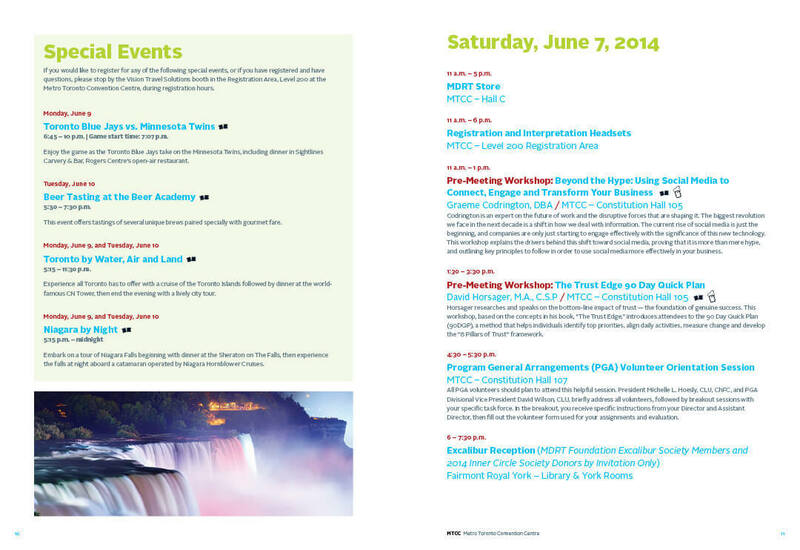 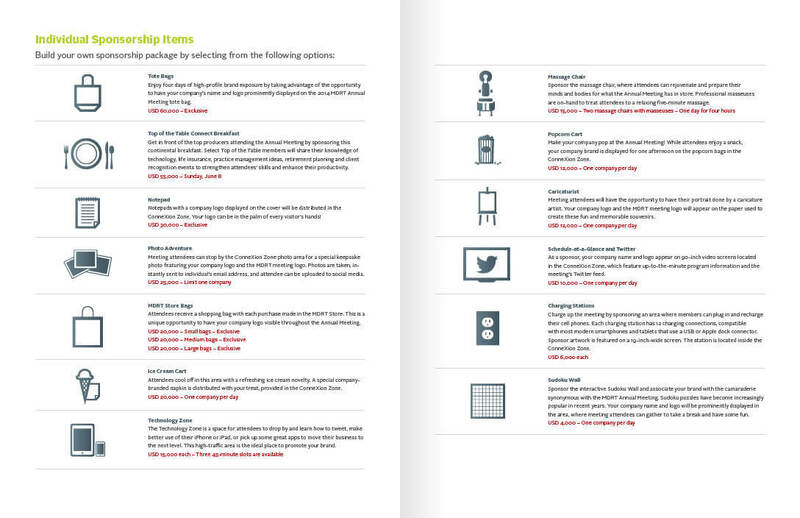 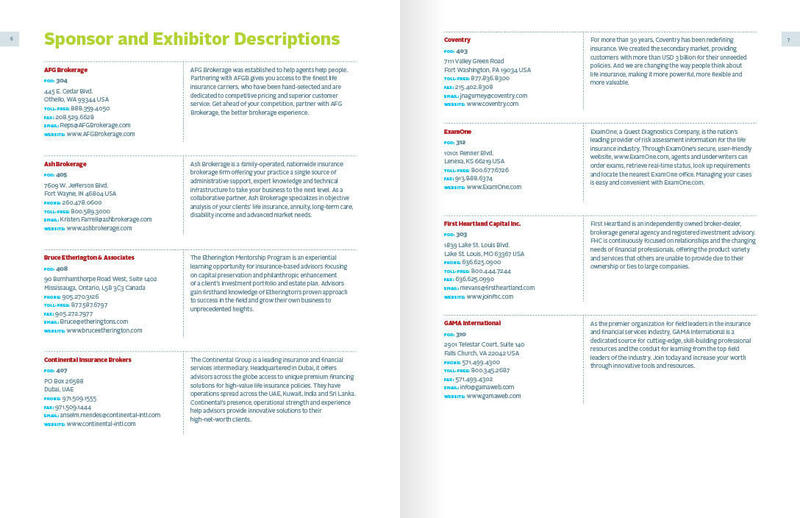 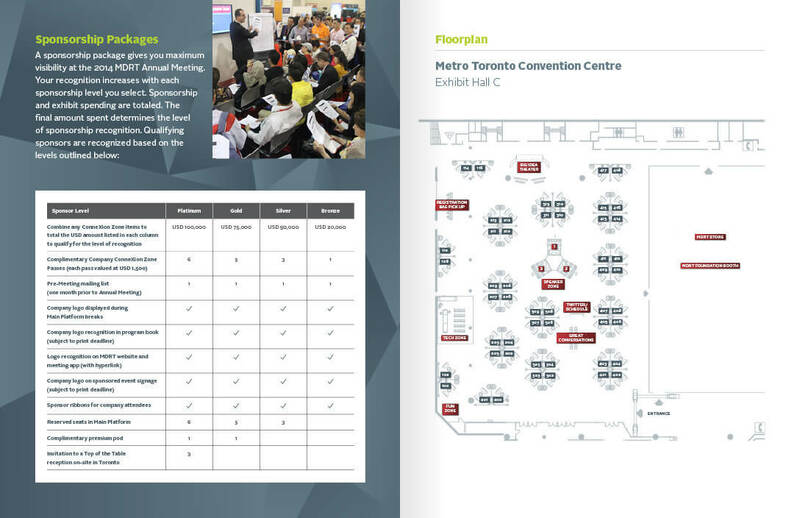 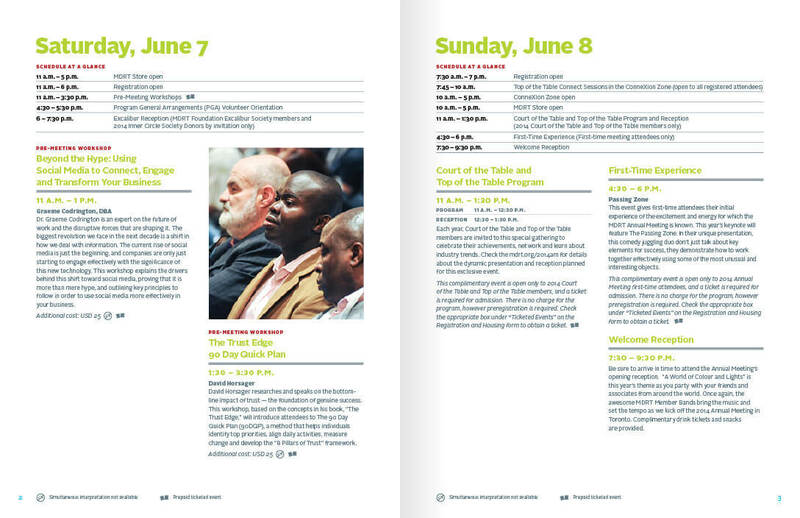 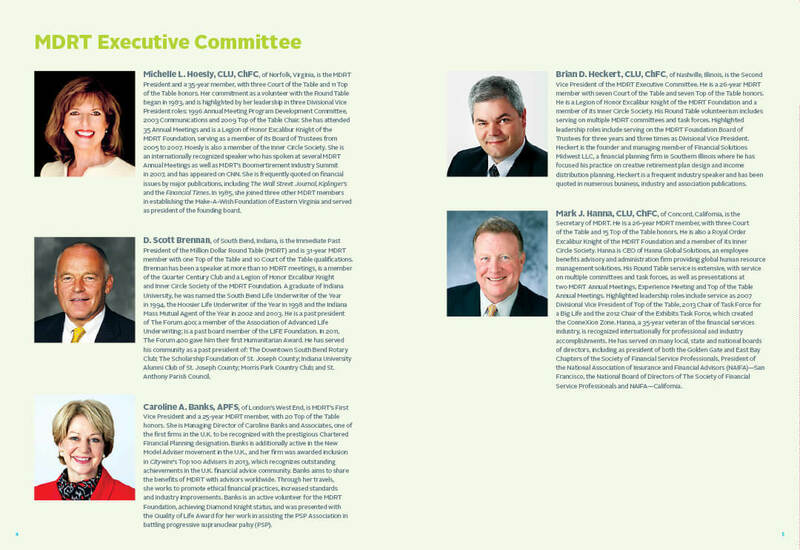 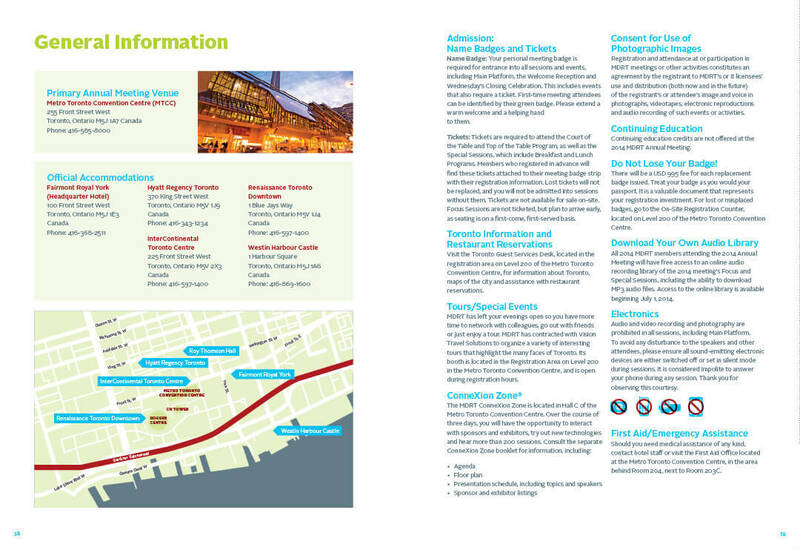 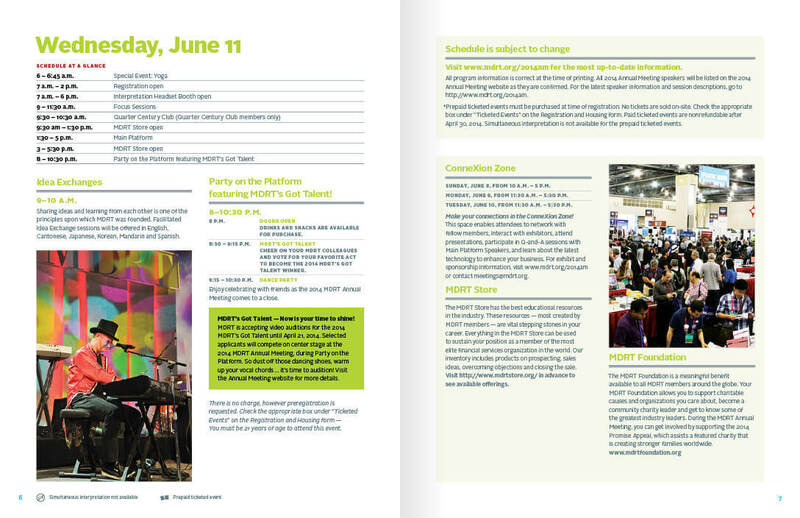 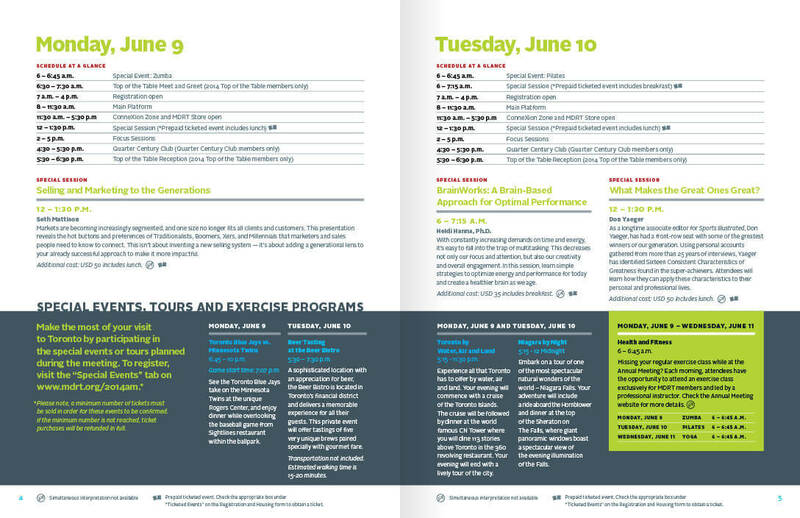 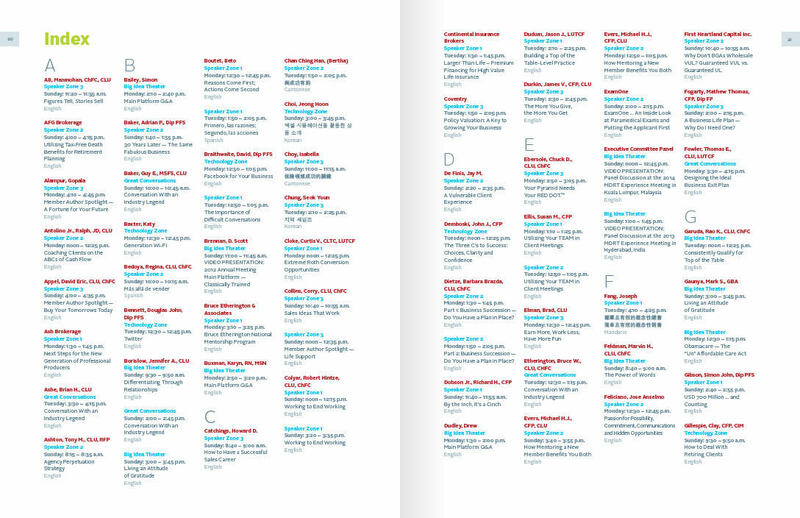 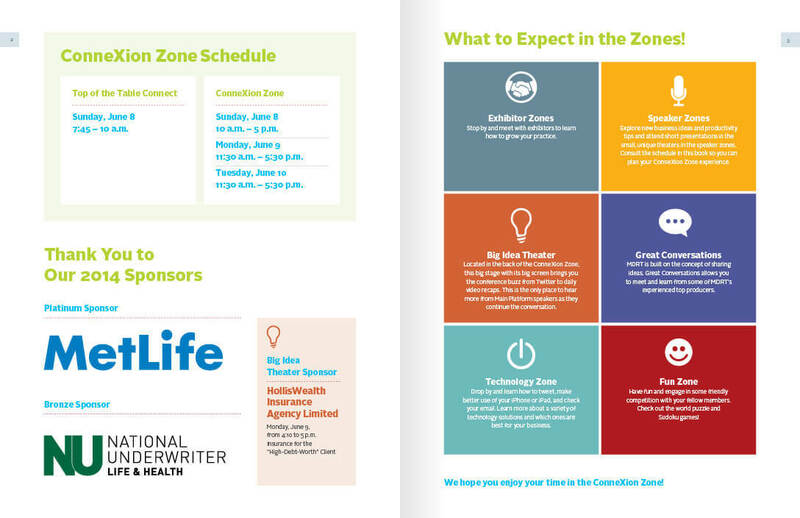 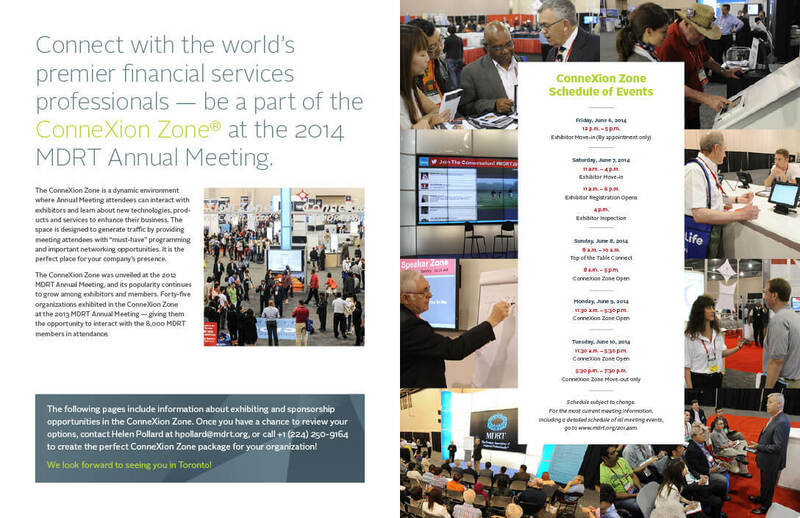 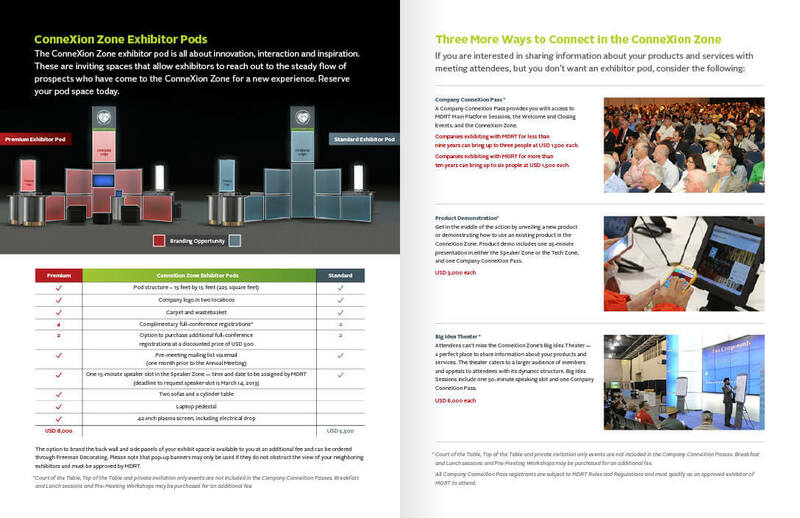 An addendum to the program book was needed to inform the attendees about the schedule of events, exhibitors and speakers in a special area called the ConneXion Zone. 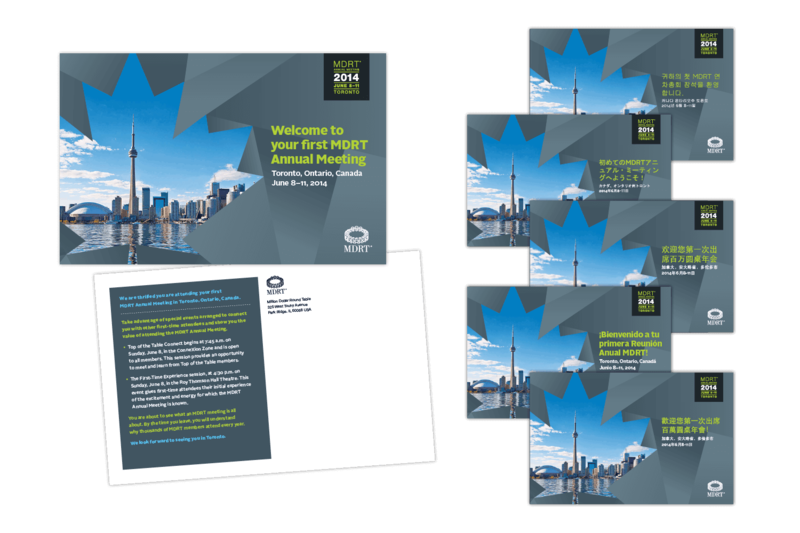 First-timer Postcard A special set of postcards was designed and translated into five languages inviting first-time attendees to the meeting.